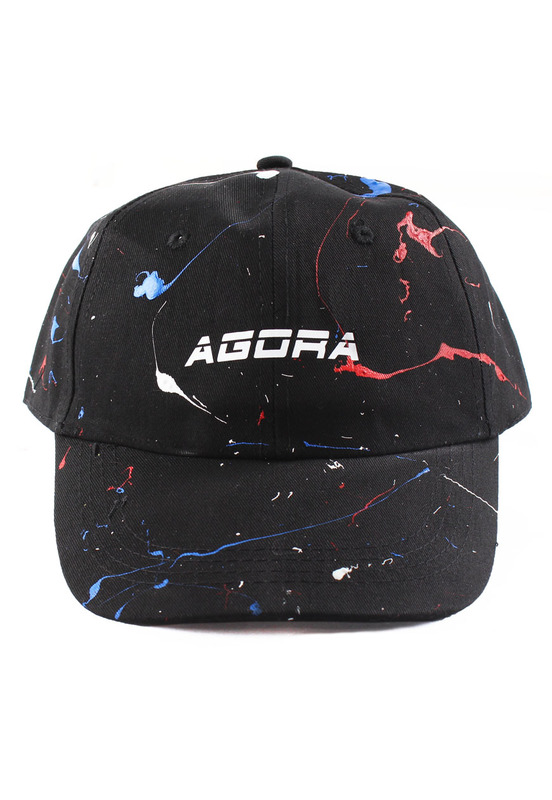 Agora Paint Splatter 6 Panel Dad Hat. Unstructured reinforced cotton 6 panel hat. Each hat is individually painted by hand to achieve a unique 1 of 1 finish.